The Sunshine Space: Sushi and football. 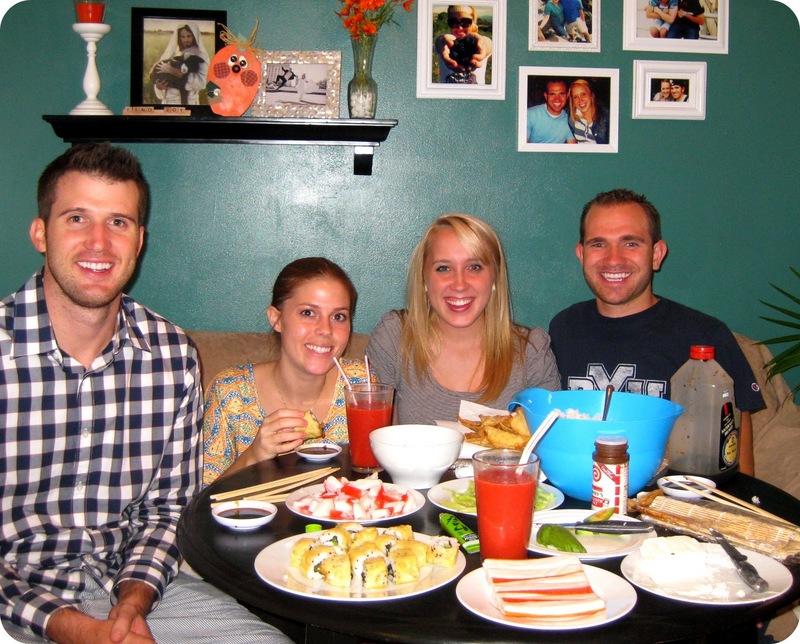 On Friday night, we watched the BYU game at home with our friends Brad and Abby. They love sushi like JD does, so we pulled our table into the living room and rolled our own during the game (JD helped me make chicken, carrot, and cabbage wontons because I'm not such a big sushi fan). Luckily, BYU came up with the win due to an exciting fourth quarter finish. Gosh, I love me some college football!